Even in this modern day and age, a nice wrist watch has many purposes. Some people wear it as a fashion accessory, but many choose them for their practicality. We’re not talking just about telling time, but also many other functions which make our lives easier. This is also true for those of us who like spending time outdoors. Some watches are designed for active people, and we can get a lot of useful information from them. Many of these run on conventional batteries. While they can last for a while, there will still come a time when you need to replace them. This can be a nuisance, because you can forget to do that on time, and your watch stops working as a consequence. For this reason, solar watches were introduced. By using solar energy to power themselves, they eliminate this problem altogether. You won’t ever need to visit the jeweler to have your battery replaced. Solar wristwatches charge the battery every time they are exposed to a light source, so they keep working no matter what. 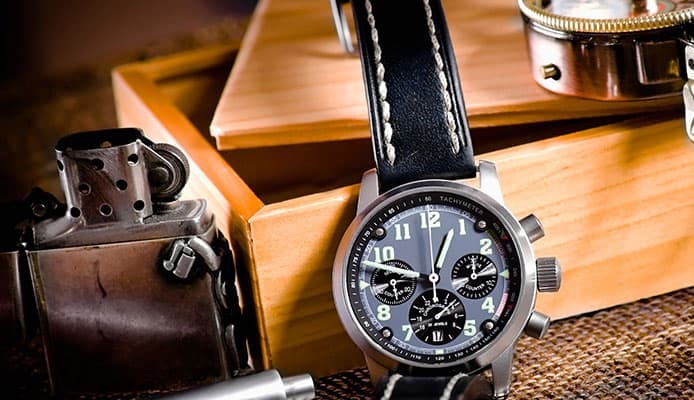 Like other types of watches, they too are designed for different people and lifestyles – you will find both formal and casual watches with this technology. To find the best solar watch you need to think about where and how you’ll use it – whether you need a rugged device which can go deep underwater and resist impacts, or you want a sleek looking watch to go with your style. We thought about this, so you can find both types in our solar watch reviews. Be sure to go through the buying guide below to learn more about how these devices work, and what should your priorities be when buying one. We start off with a great piece from Casio, which is a part of their well known G-Shock series. This is a solar-powered watch with a digital display. It’s very tough and can easily handle all challenges. It has a nice sporty look and multiple displays for many different functions. The solar panel is built into the face of the watch, and will work with any light source. When the battery is fully charged, it gives the watch several months of autonomous working time (without additional charging). The case is made of stainless steel, while the band is made of resin and has a buckle closure. It’s nice and large, with the case measuring 53mm in diameter, and weighing just a bit over 10oz. Like other solar watches, it has a quartz movement inside which works with great precision. Dial window is made from mineral crystal which is exceptionally strong and resistant to scratching and shattering. The case is fully water-tight, with certified water resistance of up to 660ft. This makes it suitable for underwater activities too, for example when you go scuba diving. As for features, this one is really packed – it’s much more than your average wristwatch. Perhaps the most interesting addition is the atomic timekeeping. It syncs time using radio signals, so you always have correct time and never have to adjust it. There is a triple sensor inside for recording altitude, barometric pressure, temperature and directions. Having this type of information can be very useful when you go hiking. You will also find a neat calendar on the display, showing day, date and month. Time measuring functions are available too, such as a stopwatch and a countdown timer. There is a good reason this watch is so popular. It isn’t too expensive, especially considering the build quality and functions you’re getting. Despite its larger size, it’s very comfortable to wear. The looks are an upside too – the red details complement the black case nicely, and the LED backlight looks great. It’s probably the best solar powered watch in terms of value for money. This Eco-Drive watch is a clean-looking product, in case you’re not into large sport watches. It’s very reliable, since it charges efficiently using sunlight, but also indoor lighting. Many satisfied customers attest to the quality of this watch, and the nice price point is an additional plus. It has an analog display with three hands and a black background. The case is made from stainless steel, and it’s significantly smaller than our previous products. Measuring 37.2mm, it will look really nice even on thinner wrists. The window is made from scratch-resistant mineral crystal. You’ll get a nice woven canvas band which is comfortable to wear. The strap has a buckle and large metal holes so you can put it on and take it off easily. The hands we mentioned are luminous, allowing you to easily tell time at night. The dial has large Arabic numerals which are easily visible. Like others, it features a quartz movement powered by a solar panel and a rechargeable battery. This watch has a power saving mode which decreases some functions in order to preserve the energy and work longer, until you expose it to a light source again. As for the added functions, it has a subtle day and date display window located on the right. This solar watch is also water resistant, with a rating of 330ft. It’is a plus because you don’t have to worry about taking it off when you go take a shower, or accidentally getting it wet. 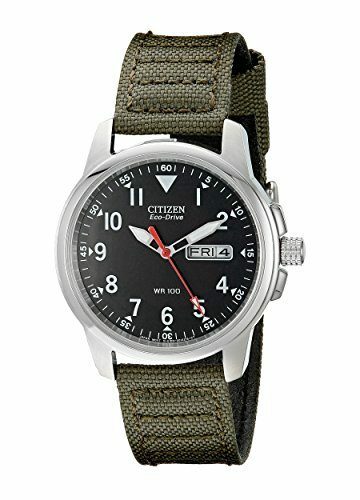 It’s very lightweight, but it’s made to the high standards Citizen uses for their watches. You get a reliable and good looking product which will certainly last for a long time. The Solar Sport is a very popular product which is reliable and comes at a competitive price. It features a rechargeable battery which can last up to 10 months on a full charge. There is a battery power indicator, and also a power saving function which optimizes the operation in order to prolong battery life between charges. Both the case and the band are made of resin, and everything is black. The band has a large buckle for easy opening and closing. The case measures 46mm in diameter, so this watch isn’t really small. On the other hand, the weight of just 3.84oz makes it easy for you to wear it because you certainly won’t feel it on your wrist. Movement mechanism is Japanese quartz, and this great watch features a dual display – three hands as the analog display, and a small rectangular digital display on the lower part of the dial. It’s has water resistance of up to 300ft, so you don’t have to take it off when you go for a swim. As for additional features, there are quite a few. It has world time options to easily change the time zone when you travel. It also has a 1/100 second digital stopwatch, two countdown timers, five different alarms and a calendar. You have the option to change the display language on the digital display, which some users will find useful. Finally, the display has an LED light with afterglow which looks and works good. The mentioned hands as well as hour markers are luminous in the dark. This top rated solar powered watch is an excellent choice for people with active lifestyles. It’s notably lighter than the G-Shock series, but offers many similar benefits. This is one of the products which prove that you don’t have to spend ridiculous amounts of money to get a high quality product. 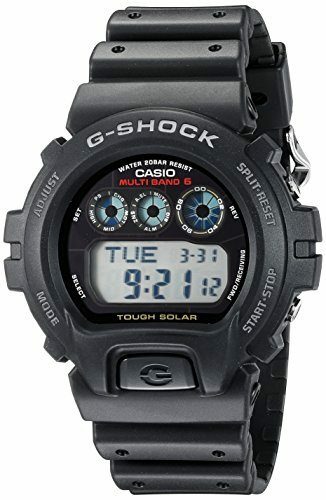 Here we have one more product from Casio’s line of solar powered watches for men, belonging to the G-Shock series. What makes it stand out compared to others is that it uses steel as a material of choice instead of resin which is more common. Of course, it comes with top of the line strength and shock resistance. The steel case measures 46mm in diameter, and has a large digital display which shows all types of information. The bracelet is made from stainless steel links and has a clasp closure. 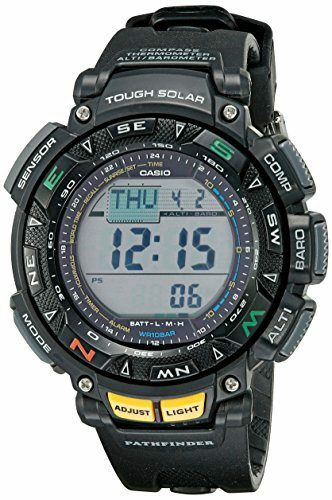 This watch uses the same technology Casio uses for their watches, so the solar-powered battery lasts for a long time – in this case about nine months on a full charge. There is a power indicator on the display, and the watch will go into power saving mode when the battery becomes low. Like others, this product has quartz movement. The fact that it’s made of steel further improves the already fantastic performance every G-Shock watch has. The water resistance is 660ft, and it’s highly unlikely to get damaged regardless of activity. However, the steel construction raises it’s weight a bit – at 8oz it’s somewhat heavier than other similarly sized products. It has many extra functions, such as alarms, a stopwatch, countdown timer and an automatic calendar. It also has a fully automatic EL light with afterglow. The digital display gives you a choice between 12 or 24-hour format. It has world time with time zones pre-installed, so it’s easy to make a switch when you need to. In addition, it has atomic timekeeping, so it will make small adjustments on its own to give you the most accurate time possible. Perhaps the biggest upside of this watch is the large display, because time and other information is really easy to see. It’s very comfortable, and many users say it doesn’t show significant signs of wear even after many years of use. The Pathfinder is a solar watch which has an interesting look and can be used for navigation. It’s a very popular product with good build quality and a few unique functions to help you get around. The case is made of stainless steel, while the band is made of resin. The case is a bit larger than usual, measuring 51mm, while the whole watch weighs about 8oz. It has a mineral dial window, so you don’t have to worry about accidentally scratching it. With 8 inches in length, the band is large enough for most people, and it comes with a buckle closure. 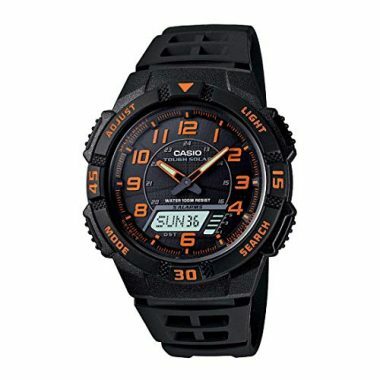 The watch works thanks to Casio’s solar-powered battery which can last up to 6 months on a full charge. It has a power saving function, as well as battery power indicator on the display so you can keep track more easily. Since it’s designed for outdoor use, it’s tested to be reliable even in low temperatures, as low as 14° Fahrenheit. In addition, you don’t have to worry about getting it wet either, because it’s water resistant up to 330ft. Because of these features, many people like to wear this watch on their winter adventures, so it can be very useful on your next winter camping trip. As we mentioned, this quartz watch has several interesting functions. It has sensors for altitude, atmospheric pressure as well as temperature, and you have this information at your disposal. In addition, it has a digital compass for easier orientation. There is a large bezel ring around the case which you can position to save direction. Furthermore, it has a stopwatch, countdown timer, alarms, a calendar and world time. The display is dual LCD with EL backlight which works automatically. It’s really an excellent choice for outdoor enthusiasts or people with big wrists. 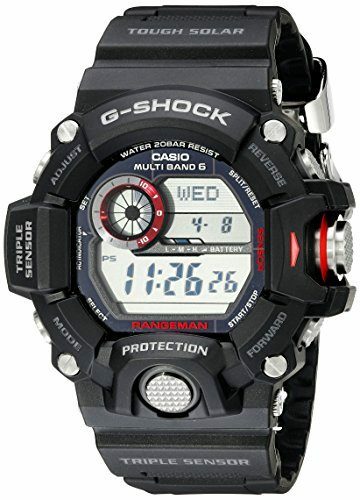 This is another great piece from the G-Shock series, with a good-looking design and a budget-friendly price. Everything is made from tough black resin, including the case and the band. Like other watches in this series, it’s completely shock-resistant. This watch is waterproof too, being tested up to 660ft of depth, so you can leave it on when you go to a swimming pool. The case measures 41mm in diameter. As you can see, this is smaller than all other products so far, so it makes a good fit for people who like this style of watch but have smaller wrists. At only 2.2oz it’s much lighter than many other products too. It runs on a Casio solar battery, which charges quickly and supplies power for a long time. It has a mineral dial window, and a rectangular digital display. In addition to the main display, there are three circular subdials in the upper area, which are used for measuring time. In addition to this, the watch displays information about day and date too. You get a stopwatch, a countdown counter and an alarm with snooze function. It also has world time with 31 different time zones. There is the atomic timekeeping function we mentioned before, to sync with the atomic clock and never miss a second. You can choose between a 12 and 24-hour format, depending on what you’re used to. It’s easy to see even at night thanks to the LED backlight which turns on automatically with a turn of your wrist. All functions are easy to use, and you’ll get the hang of it quickly. It truly stands up to it’s name in terms of durability. A big plus is that band design makes it very comfortable to wear too. 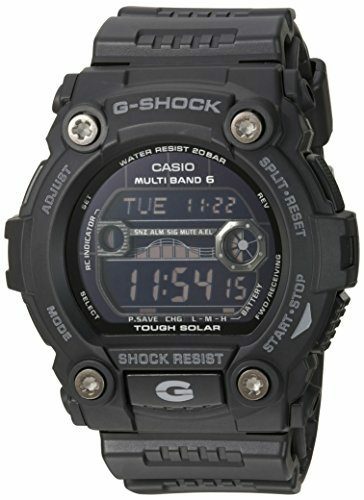 The G-Rescue is an interesting looking watch with a fully black design. The inverted display colors contribute greatly to this. It’s made of a highly durable resin. The band feels comfortable on your wrist and comes with a buckle closure. You’ll also find a pair of wings underneath the band which create a better grip and improve comfort. The case is large, with a diameter of 50 millimeters. It’s fully waterproof, rated at 660ft. The solar charging is very efficient with a high quality solar panel and battery combo. It uses Japanese quartz movement and has a digital display. 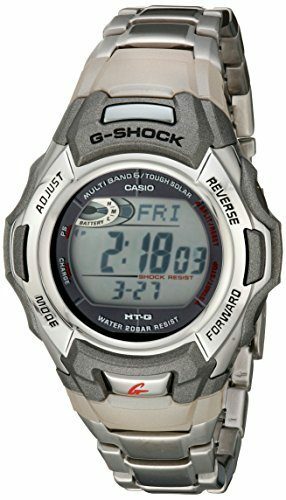 You get many extra functions which are common in Casio G-Shock watches, but also one which is specific for this watch. Common functions and features include an alarm with snooze, a 1/100 second stopwatch as well as world time with 31 time zones and 48 pre-programed cities. However, it also has a tide/moon graph which can be very useful when you’re planning your fishing trip or other water activities such as surfing or kayaking. It’s a reliable product with proven quality, and many satisfied customers which can attest to this. This is a true outdoor watch for all your land and water activities. It will handle all impacts really well so you don’t have to worry about it at all – just put it on and go. As a plus, it’s lightweight and looks good too. It’s really a great addition to your equipment, and you don’t need to overspend to get it. The Slim Solar is a good looking watch with a dual display. It has the same Casio solar technology, which gives you high reliability – this product can go for up to 10 months between charges. Another huge plus is that it’s very affordable too. Also, most users like the combination of black and orange color this watch brings. Material of choice is resin, both for the case and the band on this watch. Everything is black, including the dial inside while the orange details we mentioned are the numerals and button indicators. It’s not excessively large or heavy – the case measures 41.5mm in diameter, while it weighs only 1.12 oz. Like other solar watches, it uses quartz movement. It’s also watertight, with a rating of 330ft. As we mentioned, it has a dual display – both analog and digital. Analog display consists of two hands which are luminous in the dark. Underneath them is a rectangular digital display and a battery indicator. The display shows day and date but it can be used for other functions too. You get alarms, a stopwatch, a countdown timer and world time function. You’ll notice that it’s missing the crown on the right side. These watches adjust the hands automatically when you choose the time zone you’re in. The watch also has backlight so it’s easily visible in low light conditions. If you choose this one, you’ll get a sturdy product, which is at the same time comfortable and flexible. It’s also makes a very nice gift for hiking enthusiasts, because it comes with great options, but at the same time it’s the most affordable product on our list. This is the second Citizen watch we feature in this article. It also has their patented Eco-Drive technology, meaning it’s powered by any light source (but preferably sunlight). It looks quite a bit different compared to other products we reviewed so far, since it’s more stylish. The Nighthawk is a stainless steel watch with an analog display and a large black dial. The hands are large and and both them and the hour markers are luminous in the dark. On the right side of the dial there is a small window which shows the date. The case diameter is 42 millimeters, and it has a scratch and shatter resistant mineral window on top. The window is non reflective too, making it easier for you to read time and other info. The metal band comes with a fold-over clasp. You’ll notice that it comes with two crowns instead of one. You use the main crown to operate the hands, as with most analog watches. The other crown (at the 8 o’clock position) is used to move the pilot’s slide rule chapter ring located inside. This ring allows you to perform conversions and calculations. Except for this, it isn’t exactly packed with features like some watches we previously talked about. It does however have a low-charge warning sound. This is a watch that looks even better in person than it does in the images. 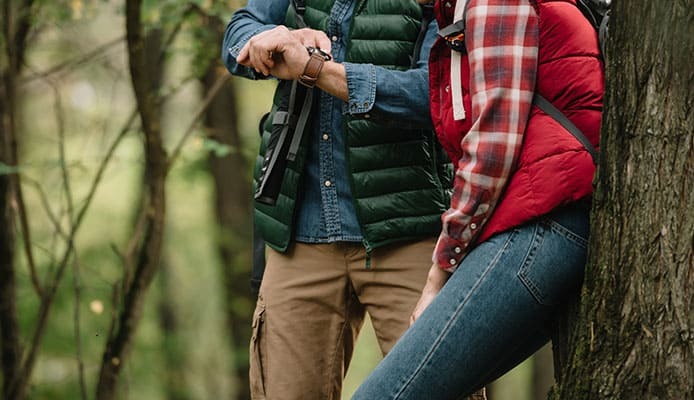 The Eco-Drive series will work reliably for many years, and the design allows you to wear it anywhere – both on formal occasions but also when you work or go out into the nature. 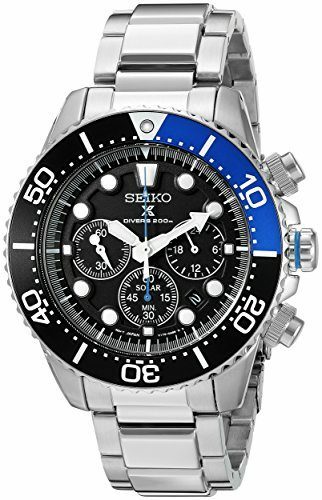 This is a product from Seiko, another very well known Japanese manufacturer of high quality watches. This one looks amazing and it’s suitable for many occasions. The whole watch is made of stainless steel, which guarantees excellent durability. It has a solar panel built into the dial, and the quartz movement is powered by a rechargeable battery inside. The case is 43mm in diameter, so it should sit well on almost any wrist. Watch band has a fold-over clasp with double push button safety. The dial window is made from Hardlex. It’s a patented material Seiko uses on their watches, and it’s very resistant to shattering. This watch has an analog display, with a black dial and three hands. In night conditions, the hands and hour markers are easily seen because they are luminous. What sets this watch apart from others is the rotating bezel with numeral markings on the outer edge of the case. This is a chronograph watch, and has three small subdials on the main dial, for precise measuring. As we mentioned, you can wear it anywhere, and this includes wet conditions too. It has a 660ft water resistance which allows you to take part in serious water activities. It’s not the lightest watch around, because it weighs a bit over 10oz. However, it is very comfortable to wear so this shouldn’t be a problem. When buying a new watch, you expect it to last a long time. This goes for solar watches too – they are in no way inferior to any other type of watch. Make sure you pick something made from high quality materials and with a good construction because it’s no use it can charge on its own if it falls apart quickly. Products we featured here were tested and gave reliable and long-lasting performance. 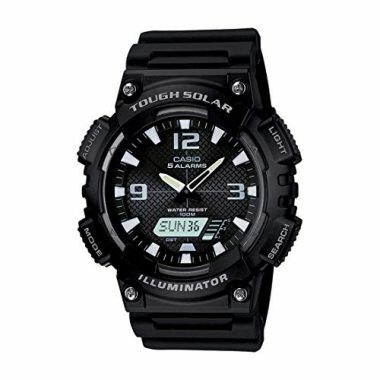 In addition, some users want extra functions, and solar watches really offer a wide array of choices. Take a look. Implementing a small solar panel into a wristwatch was a great idea. Since the beginnings, this system has come a long way in terms of efficiency. Basically, the solar panel collects light, creates energy and stores it in a battery. All watches in this category have quartz movement, which is very precise. However, this type of movement requires a battery to work. So this rechargeable battery powers the mechanism and keeps the watch working. Depending on the manufacturer and models, you will get different running time between charges. The time it takes to drain a fully charged battery can vary from several months to a couple of years. As you can see, running out of power isn’t really a problem if you’re wearing your watch, since it’s bound to get a glimpse of light from time to time. Some models even have power saving features which reduce the activity of extra features to keep the basic functions running for a longer time period. Also, some models we featured have atomic timekeeping. Using this technology, the watch adjusts itself to the exact time which it receives through a radio signal. This is very handy, because otherwise you need to make adjustments manually. We all like seeing a nice watch on our wrist. Of course, not everyone has the same taste and not every watch will suit each person equally. Solar watches come in many different designs, so you aren’t limited to a certain watch if you decide to go with this technology. Some are very sleek and elegant, designed to go well with your style and a more formal attire. Others are better suited for casual wearing, as well as outdoor and sport activities. In addition to basic design, the size also needs to be considered. Some watches can be too large or too small for your wrist, so be sure to check this before buying. Other things come into play here too, such as color of the case, dial and band. Most products we reviewed are black, because this is universal and looks good in most situations. However, details in different color can really give it a nice touch. Finally, watches have either an analog or a digital display (or both), which really comes down to your preference. Any watch you buy needs to be comfortable when you wear it. It’s best when you don’t even feel it on your hand. This guarantees that you will gladly wear it everyday. It shouldn’t create excessive pressure on your wrist, but it shouldn’t be too loose either. Look at the band which comes with the watch – the type of material used as well as size and width of the band. Steel bracelets allow corrections, so if it’s too large for your wrist, a jeweler (or you) can remove a piece and create a better fit. Straps made of resin, leather or fabric don’t have this option, but they come with a buckle so you can adjust tightness. You have two basic choices when it comes to opening and closing – either a clasp or a buckle. A clasp is more common on steel bracelets. It’s perhaps easier to use, but doesn’t allow length adjustment. Many features can make your solar watch more appealing – it can do much more than simply tell time. 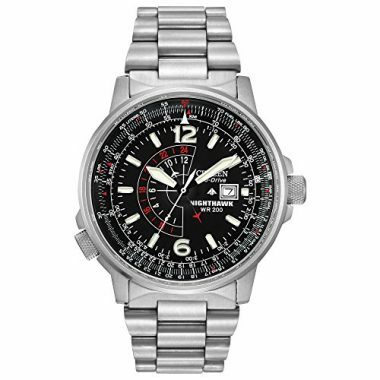 Most products we featured offer precision timekeeping. Things like a stopwatch or a countdown timer allow you to make exact measurements. Some of the best solar watches have options to choose among time zones, so it sets time automatically and makes it very easy for travelers. In addition to time, it’s very nice if you can see the date on your watch too. One of the things that are included on almost every watch is an alarm, or even several of them if you need more than one reminder. Certain watches have special sensors which detect outside conditions and present them on the display. These include an altimeter, barometer or thermometer. An altimeter will show the altitude of your location, calculated based on your initial position and changes in the atmospheric pressure, measured by the barometer. Thermometer can also be useful in many situations when we wish to know air temperature. In addition to these, some watches help you navigate by allowing you to use a compass built into them. Choice of materials greatly determines the durability of your new watch, and its overall performance. Common choices are stainless steel or resin, because of their exceptional toughness. Some watches even have a combination of the two. Steel is a bit heavier, but it can look more elegant. The band can be made from the same material, but it doesn’t have to be. In addition to materials already mentioned, bands can be made of leather or canvas. Every material has its ups and downs, so it’s up to you to decide what will work best. Not having to worry about getting your watch wet is great. Some manufacturers go much further than simply splash-proofing their watches, and create products which can spend a substantial amount of time underwater without sustaining any damage. All the products we featured are waterproof. However, these ratings vary from one to another, with some products being tested to endure water activities such as long swimming sessions or scuba diving. Think about this too if you plan to take part in such activities. We mentioned this when we talked about materials – high build quality ensures durability. This is important because a watch isn’t something you buy every day. It needs to be resistant to damage, especially if you’re going to be using it outdoors often. Since we’re outdoor enthusiasts, many products we picked are shock resistant and don’t break easily. It’s often worth spending a bit more money on a product, because it will pay off in the long run. Besides, quality and comfort shape your user experience. Some manufacturers have made a name for themselves, and their solar watches are known to be reliable. Of course, there are many options out there, and people work on innovations every day. When you decide to try something new, try to do some research before shopping. 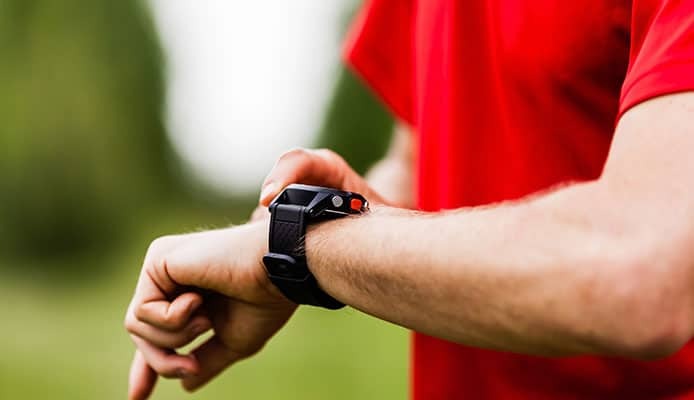 Take a look at what other users had to say about a particular product – whether it lasts a long time, feels nice on your wrist or endures harsh conditions. This way you’ll get a clearer image and will be able to pick out the best solar powered watch. Q: How Do Solar Watches Work? A: A light powered watch has a solar panel built in behind the crystal, either above or underneath the dial. The solar cells in the panel collect the light and convert it into electricity, which is then stored in the battery. This is very efficient, so the battery powers your watch even if it wasn’t exposed to light very long. Besides sunlight, other light sources can charge your watch, but at a different pace. Some people even use a flashlight to give their watch an additional boost. However, the charging will be most efficient on clear sunny days. This aside, solar watches work the same way as regular watches. Q: What Are The Advantages Of A Solar Watch? A: The biggest advantage is not having to replace the battery. This gives you a peace of mind and improves the reliability of your watch because it won’t stop (as long as you don’t keep it in a box for months or years on end). Any substantial light source will do the trick. Q: Are Solar Watches Waterproof? A: This depends on the product, but most of them are. Like we pointed out, all products we picked out for you are waterproof. They do have different ratings though (as we discussed in detail a bit earlier), so you should pay attention. Q: How Do Solar Watches Work At Night? A: In this type of watch solar energy doesn’t directly power the movement, but rather charges the battery which supplies the power for the watch. This means that the power is stored, and serves as a constant source even if your watch is away from any type of light source. Because of this it operates non-stop – both day and night. Solar watches are definitely a step in the right direction for the watch industry. They make things much easier for us because of the increased autonomy of the watch. We can be worry free and have a reliable and functioning device on our wrist at all times. As you could see, a really wide choice of products finds its place in the solar watch category. It’s up to you to come to a decision and pick a watch best suited to your character. We hope our guide helped you and pointed you in the right direction. Be free to pick any of the products we talked about, you can be certain you’re getting a durable and reliable watch you’ll be happy with! Have you tried a solar watch that made it onto our list? How long did it last between charges? How fast does it charge? Is it durable? Please share your experience with us in the comment section below.